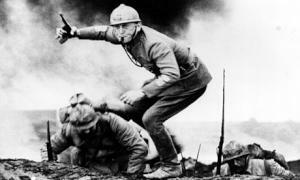 Stanley Kubrick’s Paths of Glory is still the greatest World War I film. Reality unfolds on two levels in Stanley Kubrick’s anti-war classic Paths of Glory (1957). On one level, the generals are in their ornate mansions plotting troop movements a long, long way from the front. The other level is the mud, squalor and confusion of life in the trenches. 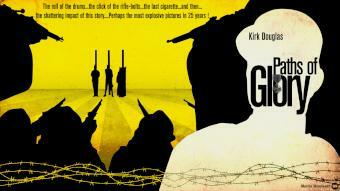 Few films have depicted war’s futility and horror so powerfully and with such clarity. No film has done World War I better. How many films have done war better? The title is brutally ironic of course and comes from a line in poet Thomas Gray’s Elegy Written in a Country Churchyard: “The paths of glory lead but to the grave.” Humphrey Cobb wrote the short novel in 1934 after seeing a report in the New York Times about five French soldiers who were shot for mutiny in 1915. A French court had finally awarded two of their widows one franc each, as a token payment, and the rest nothing. So injustice and insult persisted. 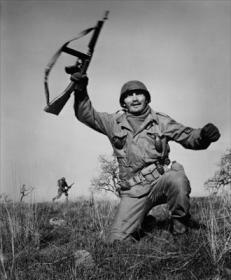 Cobb mixed that report with his own memories of fighting with the Canadian army in Europe. Kubrick had read Paths of Glory when he was 14 and told producing partner James Harris about it when they were looking for a project to follow The Killing. The book was long out of print by the mid-1950s but Harris eventually tracked a copy down in the New York Public Library. Cobb’s book hadn’t been a hit but Sidney Howard had adapted it for the stage and it ran just long enough for New York Times theatre critic Brooks Atkinson to see it and predict that “someday the screen will seize this ghastly tale and make a work of art from it” (this background relies on John Baxter’s Stanley Kubrick: A Biography). MGM was not quite as enthusiastic, having just done The Red Badge of Courage and telling Kubrick and Harris that war pictures are “death at the box office”. Still, pulp writer Jim Thompson was hired by Kubrick and Harris to write the first draft, rewritten by Calder Willingham and star Kirk Douglas, who used his clout at United Artists to get it made. Douglas told UA he wouldn’t do The Vikings if they wouldn’t commit to Paths of Glory. Still, the budget was small, just under $1 million, of which over a third was Douglas’ salary. It was filmed entirely in Germany. Without Douglas and his star power, it could well have been different. The Thompson draft had a happy ending that Kubrick had requested in the hope of making the thing more “commercial” (in that version, the court-martialled men were merely imprisoned). According to film legend, it was Douglas himself who insisted on returning to the bleak, original ending, and therefore going bravely uncommercial. Better to die on your feet etc. The rewrites also beefed up his part as Colonel Dax. When we think of Kubrick, we often think of how space and scale can be used as storytelling devices. It’s obvious in The Shining, but it’s also in Paths of Glory, where the two worlds are like separate but adjacent dimensions. The dimension of the generals is like the home of the gods in a Greek mythology epic from which Zeus and other deities might disrupt the lives of mortals for sport, or out of boredom. Or God and Satan identifying Job as the target of their cruel experiment. The suffering seems that random. On the French side of the World War I stalemate, General George Broulard (Adolphe Menjou) tells General Paul Mireau (George Macready) that he wants him to push his men towards the German fortification known as the “anthill”- an appropriate name given the interest in scale, the frequent sense of looking down on the world from above. It will be a massacre, and percentages are worked out, but the likelihood of a promotion is dangled before him. After this horrifying plunge into war’s reality, we return to the abstract level, to the absurdity of a court martial in which men who send other men to their deaths try to embarrass them as cowards. “There are few things more encouraging and stimulating than seeing someone else die,” one general announces when asked about motivating the troops. “Troops are like children” and the general-as-parent must sometimes be cruel to be kind. “One way to maintain discipline is to shoot a man,” they say, before putting resisters – including a man confined to a stretcher – in front of a firing squad. Sometimes this reminds you of the Kubrick film that followed, Spartacus, with its principled resistance to an empire and the same chisel-chinned leading man. But Paths of Glory has always felt more modern, less old-fashioned than Spartacus, despite being three years older. Spartacus has the bloat and audience compromise of a studio epic; Paths of Glory has a more philosophical dimension and cynical attitudes, plus uniquely modern modes of American screen acting or non-acting, especially from Kubrick favourite Timothy Carey as one of the condemned men. Its pacifism put it ahead of its time. The obscurity of the historical event, 40 years earlier and in Europe, made it easy to stage Paths of Glory as an almost abstract philosophical treatment of war, such as in a discussion of patriotism (the last refuge of the scoundrel, Dax reminds Mireau). Discussion is followed by depiction which is followed by more discussion. The idea of a Kubrickian scale has sometimes been taken as shorthand for a view that he was cynical or unfeeling, more likely to identify with inhuman characters than human ones. Or that his reclusiveness could be equated with misanthropy. More than ever, re-watching Paths of Glory with the 100th anniversary of World War I upon us, with all the reignited arguments about necessary war, noble sacrifice and heroic resistance, reveals a human, even sentimental side of Kubrick that usually stayed hidden. In a late scene, a captured German woman sings to French soldiers, restoring some empathy and a sense of the civilised to men dehumanised by battle. That was Kubrick’s idea, not quite the happy ending of the first draft but slightly less grim and entirely unpredictable. The woman was played by Christiane Harlan whom Kubrick then married, so there was that happy ending as well. (One other weird biographical detail: Harlan was the niece of Nazi propaganda film director Veit Harlan). Maybe you can measure the film’s authenticity and impact by how much the French loathed it and how its critical reputation has grown since release. It was banned in France until the 1970s and French government influence pulled it from the Berlin Film Festival. The Swiss banned it, Franco kept it out of Spain, Belgium put a warning on it and the US military even banned it from European bases. But Winston Churchill, leading anti-hero of the disastrous Gallipoli campaign, admired its authenticity and reportedly said it came closer than any other film to capturing the real mood of WWI. When Peter Weir made Gallipolli, Paths of Glory was one of two war films that were strongly influential on him – the other was All Quiet on the Western Front. But the Gallipoli mood was a different one, anti-war and yet still patriotic. Not anti-all wars, either, but strongly against the bungled execution of that one in particular. 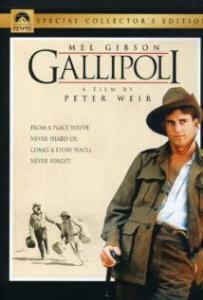 By the 1970s the Australian founding myth of the Gallipoli campaign was established as a story of innocence betrayed by cold British deviousness and incompetence, and Weir’s film, written by David Williamson, is almost a picture book illustration of that idea. What starts as a boy’s own adventure fit for Tom Sawyer and Huck Finn, with naïve Protestant farm lad Archy Hamilton (Mark Lee) and streetwise Irish drifter Frank Dunne (Mel Gibson) as bromantic opposites, ends as tragedy. It’s easy to detect the influence of Paths of Glory in the vivid trench warfare scenes and the depiction of the dynamic between imperious generals and their men as they get set to go over the top in the battle of Lone Pine, which seems as doomed and pointless as the attempt on the anthill. On one hand, Weir is aiming for a classical timelessness, which makes his film more old-fashioned than Paths of Glory, but he also sneaks in a contemporary point of view via Gibson’s relatively sceptical character. A truly cheesy 70s synth score by Jean-Michel Jarre has aged somewhat less well. Less is more when it comes to war. We are over an hour into Gallipoli before we get to the surreal night landing scenes, shot on the South Australian coast. That landscapes reminiscent of the notoriously dry and barren Dardanelles could easily be found at home is one of the ways that Gallipoli connects to earlier Weir films The Picnic at Hanging Rock and The Last Wave, with their spooky sense of white Australians never quite belonging to that parched, mysterious land. The West Australian desert that Lee and Gibson trudge through on their way to enlist is as bleak as it gets. “I could pour into your ears so much truth about the grandeur of our Australian army, and the wonderful affection of these young soldiers for each other and their homeland, that your Australianism would become a more powerful sentiment than before. It is stirring to see them, magnificent manhood, swinging their fine limbs as they walk about Anzac . . . Oh, if you could picture Anzac as I have seen it, you would find that to be an Australian is the greatest privilege the world has to offer.” (quoted by Germaine Greer here). Kubrick would never have fallen for patriotic, dewy-eyed baloney like that. So that was World War I and nothing else compares to Paths of Glory. But the wars since? That’s a harder ask. You might need to fall back on the critic’s reliable get out of jail card, the Top 10 list. I haven’t seen some of these films since the days of home video, but maybe that’s fitting as the best war and anti-war movies get you somewhere emotional when you’re young (powerful moment: Vietnam vet John Rambo in First Blood sobs as he remembers the hippie protestors “calling me baby killer and all kinds of vile crap!”). War films set before the age of cinema can be discounted as exercises in costume-shop dress-up. Films about the Holocaust are not considered war films in this exercise, so no Shoah, Night and Fog or The Pianist. Vietnam was an embarrassment of riches – although I long for something that tells the story from the Vietnamese side (no, not Oliver Stone’s Heaven and Earth) – and the messiness of the categories in the 10 films since probably reflects the messiness of civil wars, guerrilla wars and illegal wars. In that final 10, only the absurd, satirical fantasy Starship Troopers has action that counts as heroic in any normal sense. For the record, I consider American Sniper an anti-war film that was made much more complicated and interesting by the surprising fact of its ending. The gun nut Chris Kyle is a machine as dehumanised by training as anyone in Full Metal Jacket.